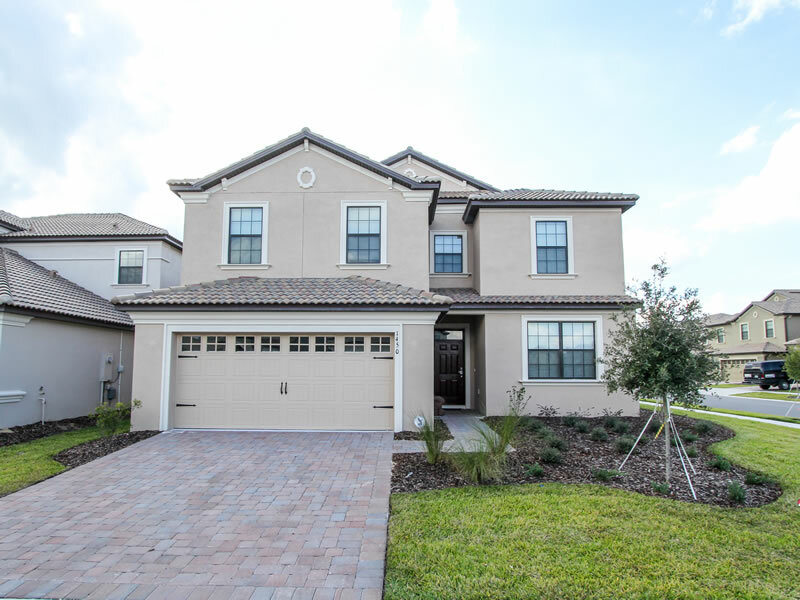 Brand New Home Located in 'The Retreat' at Champions Gate which is also Guard Gated. 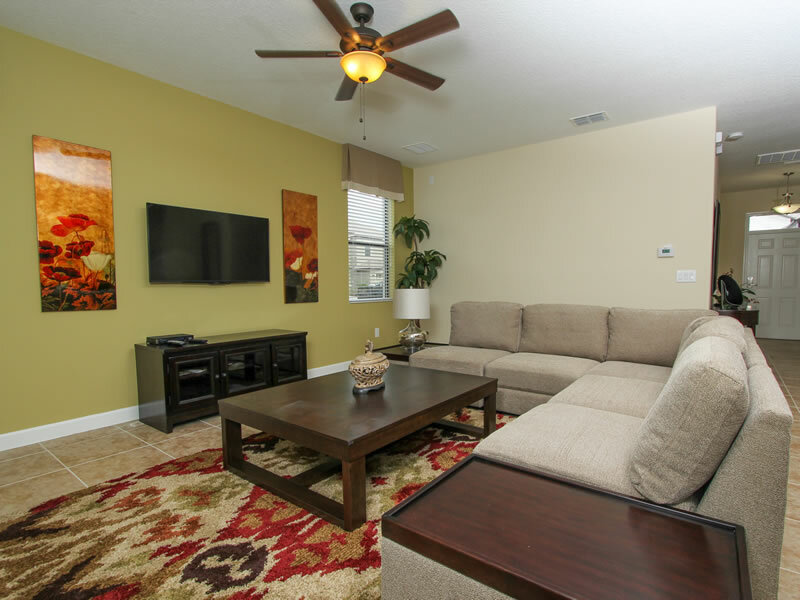 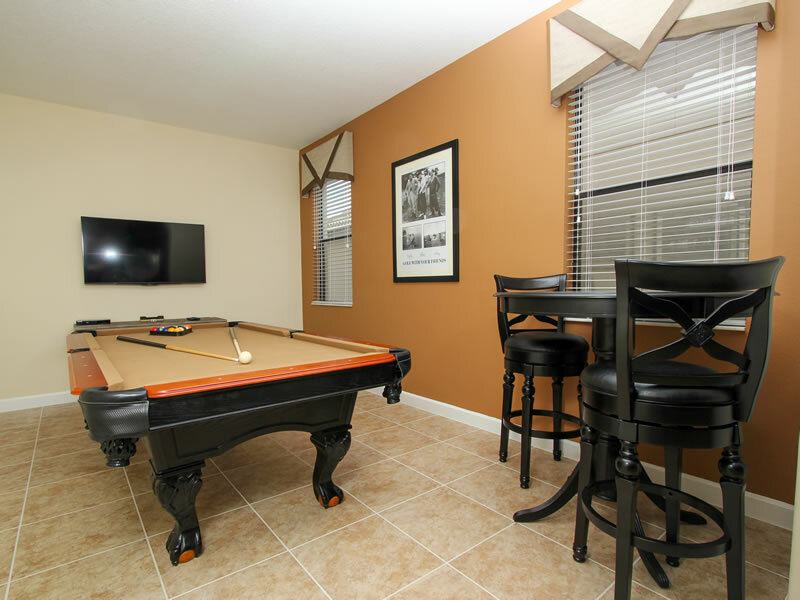 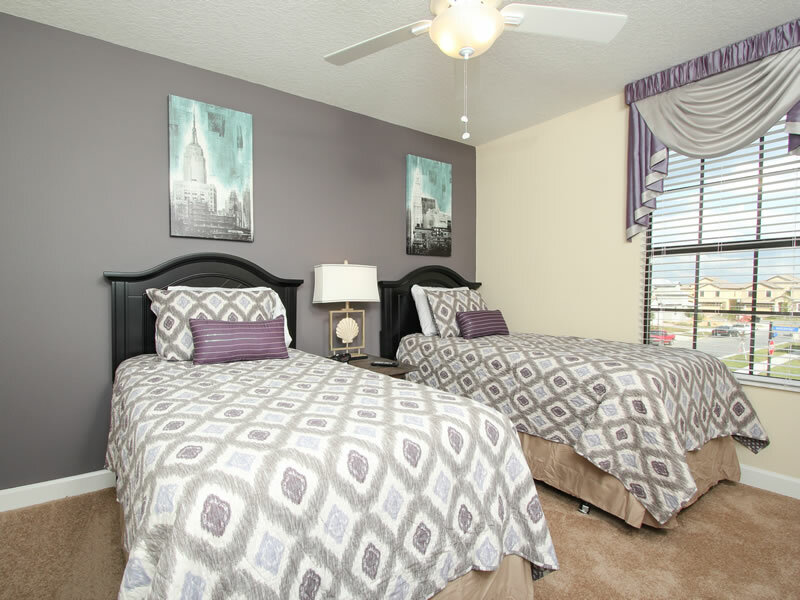 Tastefully, professionally decorated home in this New development Orlando's Newest Resort Sytle Community!!! 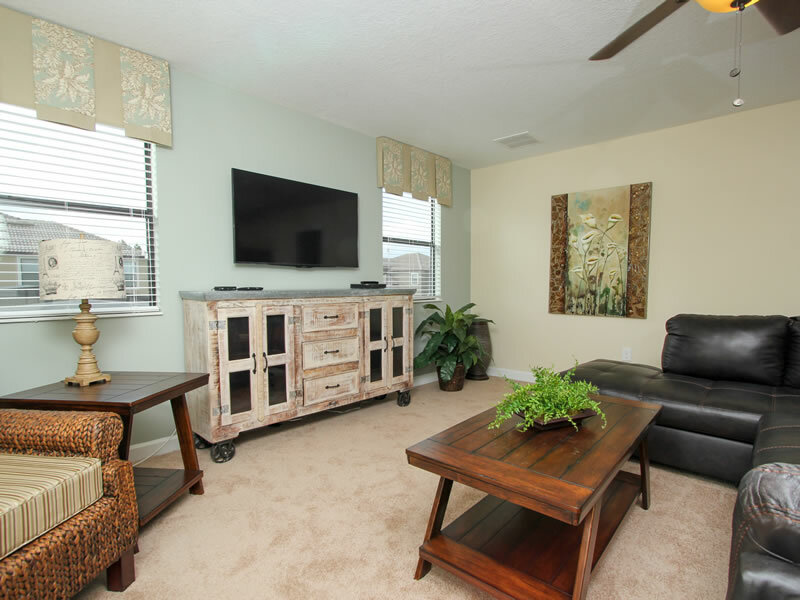 the sumptuous lounge you can relax into a large corner fabric sofa and have your choice of watching programmes/DVD's on the 42" flat screen T.V. 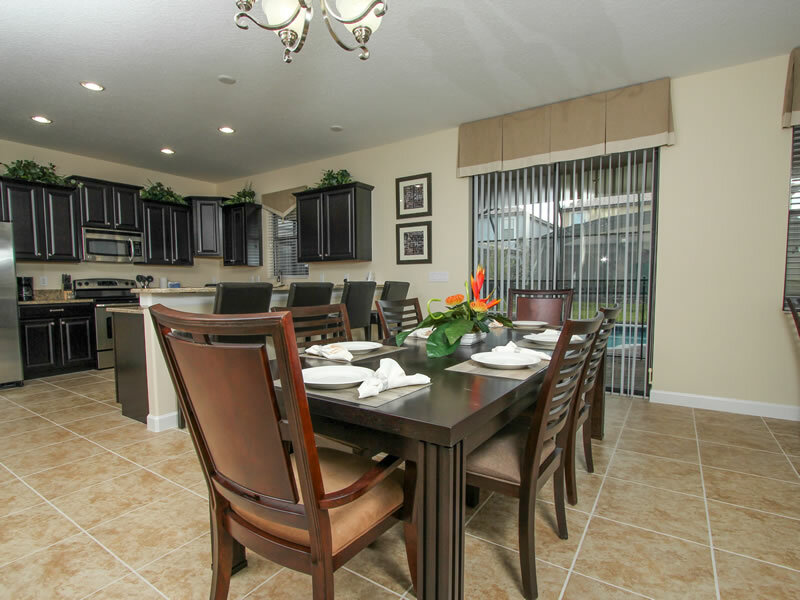 The dining area seats up to 6, with a breakfast bar for 4. 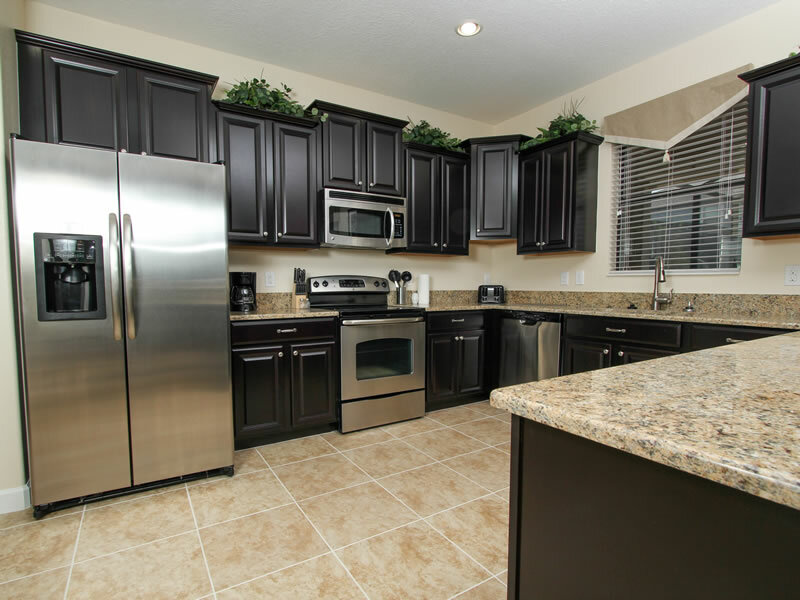 Our well equipped modern kitchen contains everything from a cooker, microwave, dishwasher, refrigerator/freezer with built in ice-maker, free unlimited telephone calls worldwide, along with other essentials such as cutlery, crockery and glassware. 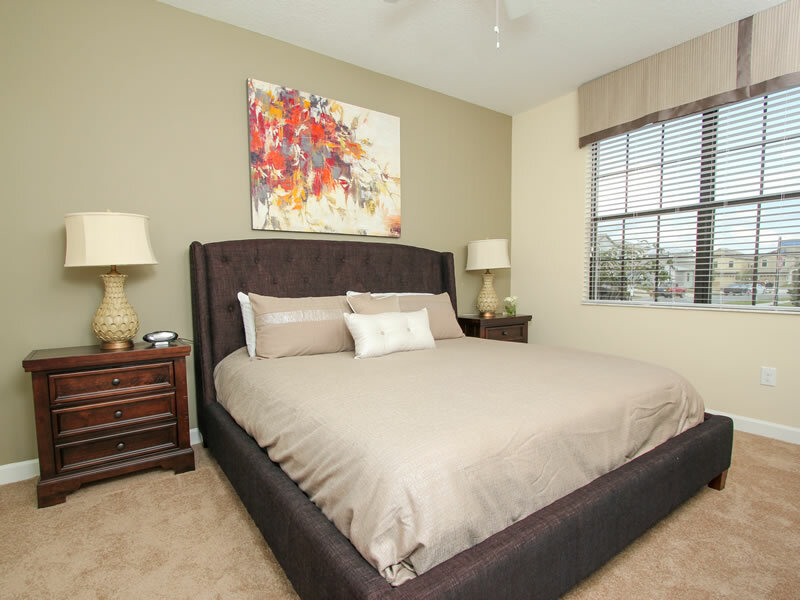 A huge luxurious King size bed sets the tone for this stunningly furnished and decorated room. 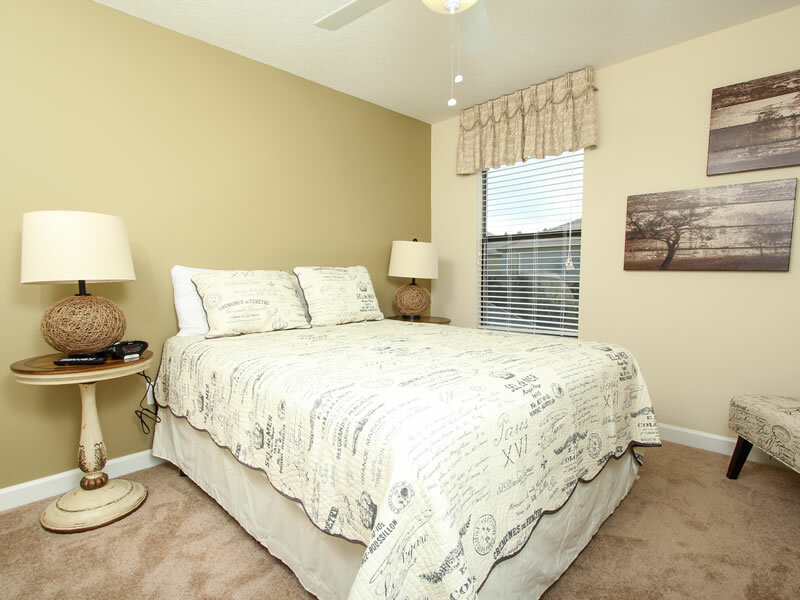 Our master bedroom also boasts a large TV with cable TV a DVD player and ceiling fan. 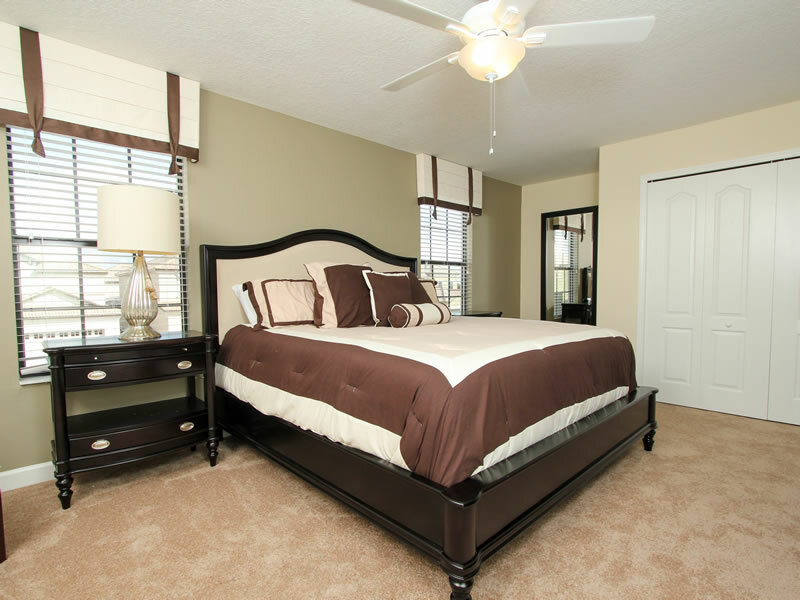 A huge luxurious Queen size bed sets the tone for this stunningly furnished and decorated room. 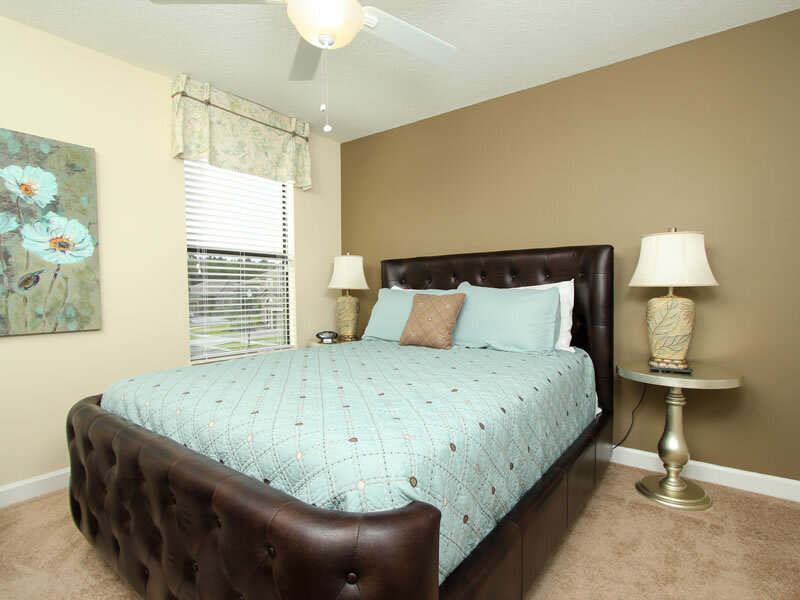 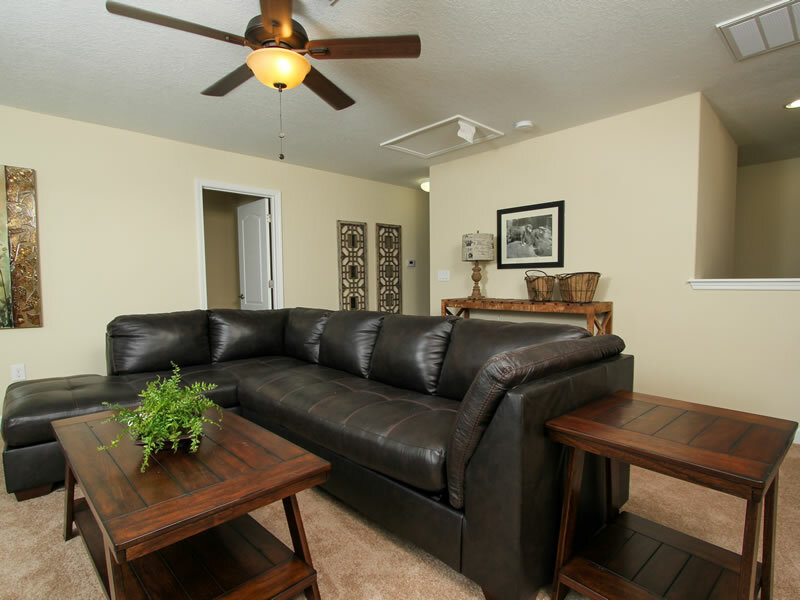 Our master queen bedroom also boasts a large TV with cable TV a DVD player and ceiling fan. 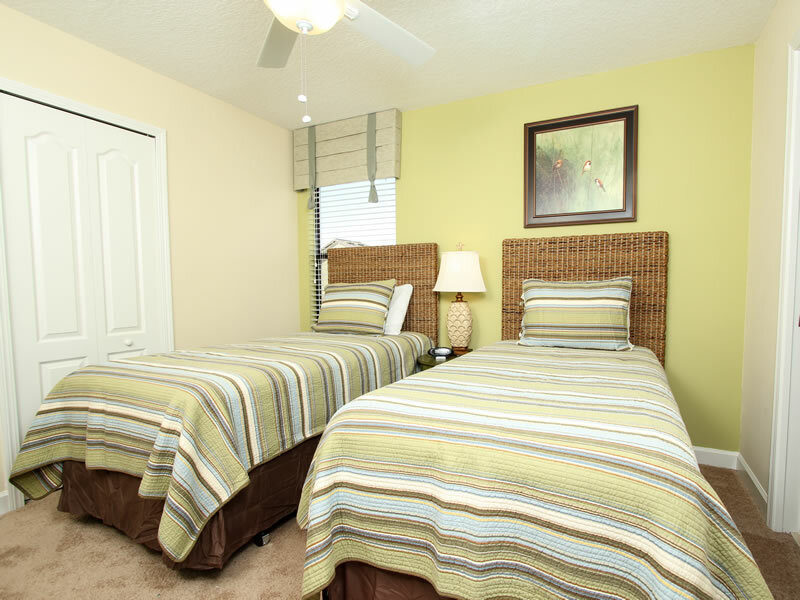 2 Twin beds a large TV with cable TV a DVD player and ceiling fan.